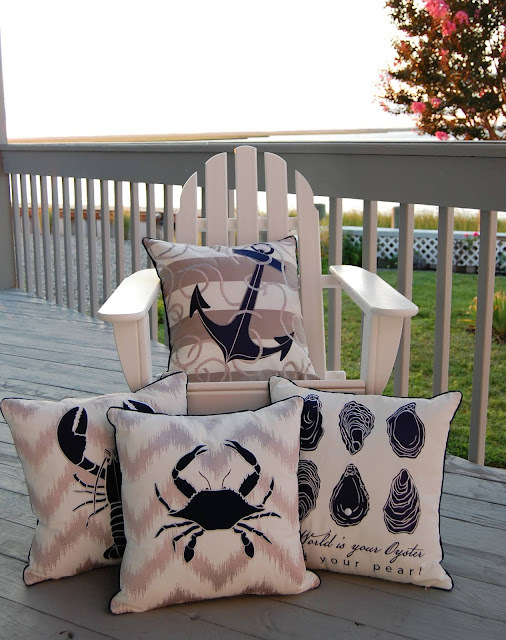 Everything Coastal....: Why do we LOVE Coastal Pillows? 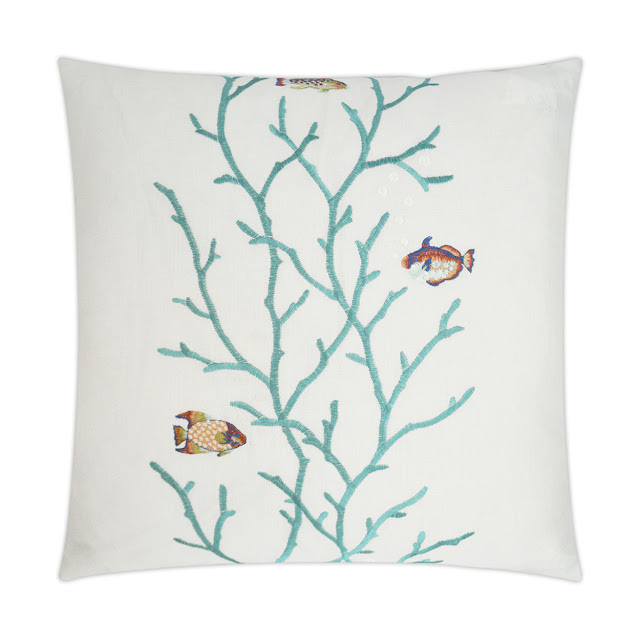 Why do we LOVE Coastal throw Pillows? Let me count the ways - How about 9 for starters? 1. The number ONE reason we love pillows is that they instantly show off your love of beach life! 2. Decorative throw pillows can completely change the look of your indoor or outdoor rooms without having to switch out your furniture or replace an expensive rug. Perfect for a new look after you have taken down all of the holiday decorations and your room is looking a little bare and cold. Add back fresh life and color while the grey winter days are outside. Easy fix! 3. 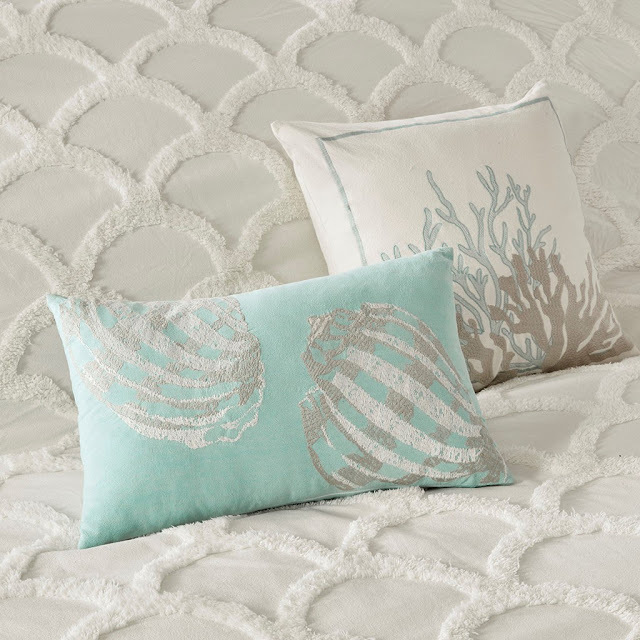 Add elegance to a room with coastal pillows that spell luxury and richness - look for embossing, embroidery or hand-beading. Your room can be instantly transformed. Seriously. The tone in your living space will reflect your excellent taste and will make your "old" sofa or favorite comfy chair into something completely different. Trust me. 4. 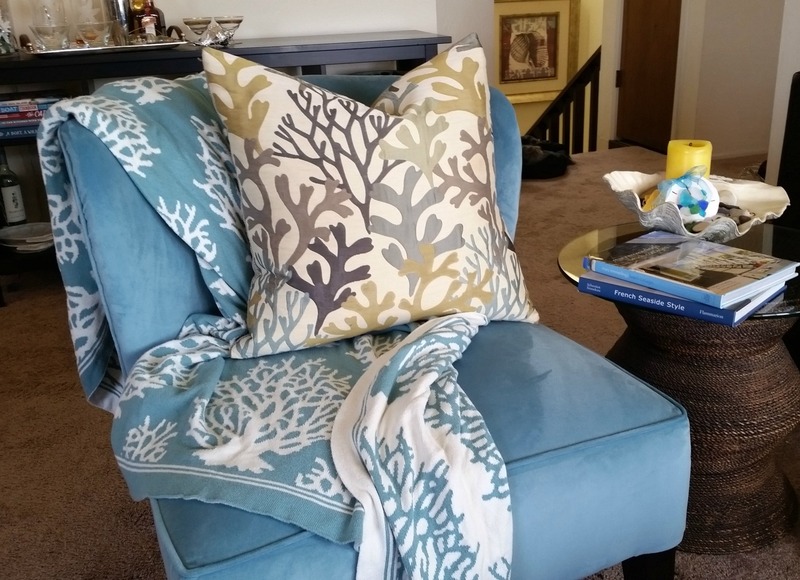 Need a room refresh as the seasons change? 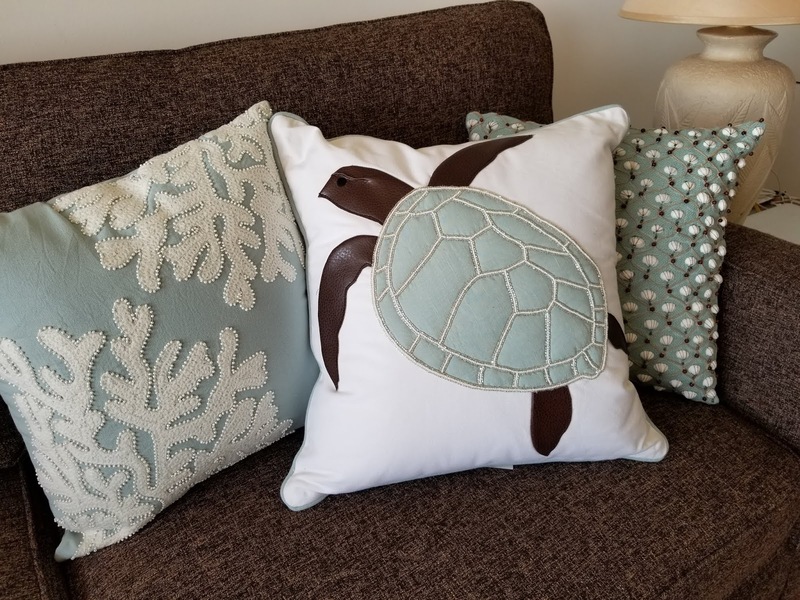 Add bold bright seaside colors for spring and summer, and then hide those pillows for fall when its' time to layer in warmer tones and warmer fabrics. You will never be bored with your space! 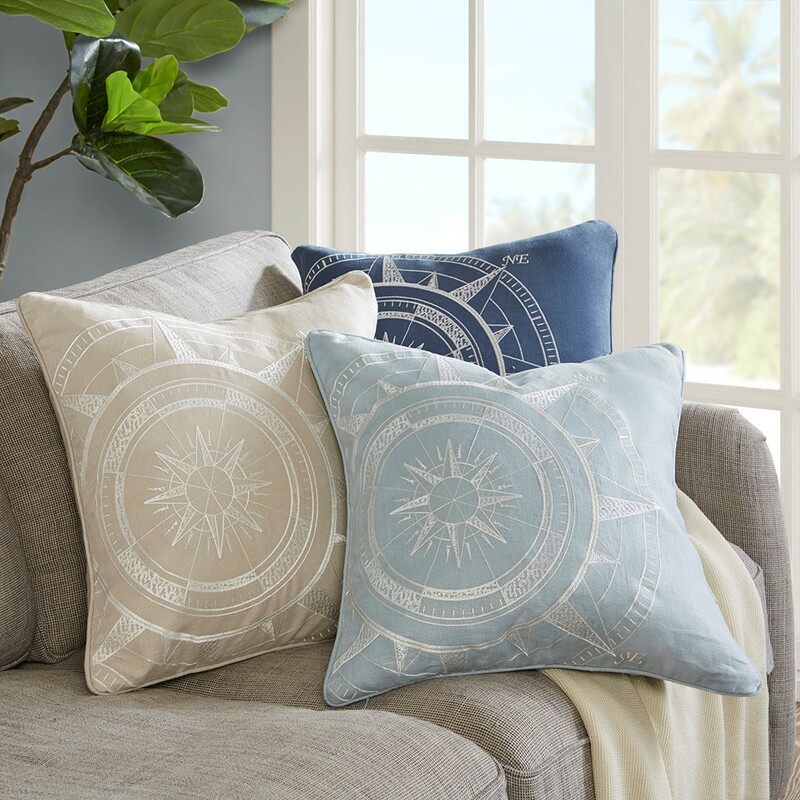 Or go with classic navy blue and white - can never miss with this nautical-coastal color combination - Here are a few new ones that we just added for spring. 5. Not sure that you want to completely change the look of your coastal room? 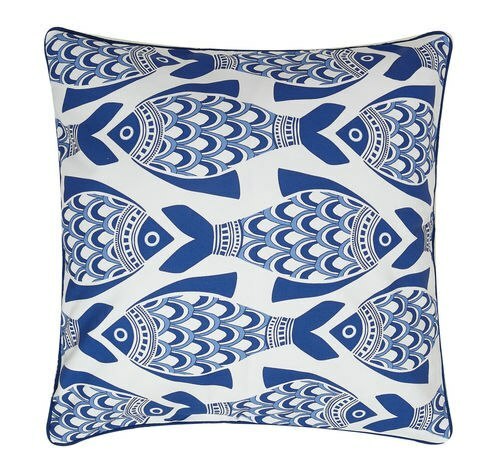 Pillows are the perfect way to experiment with your decorating scheme. 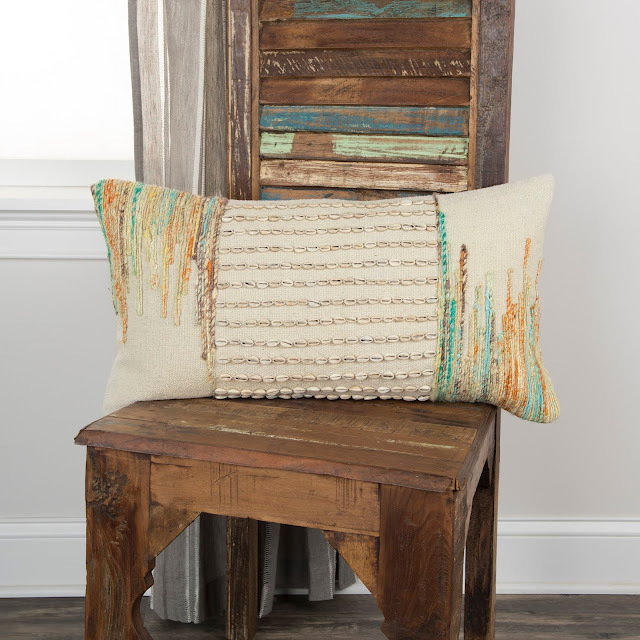 Try on a new color or a new design - you never know where you might find inspiration! 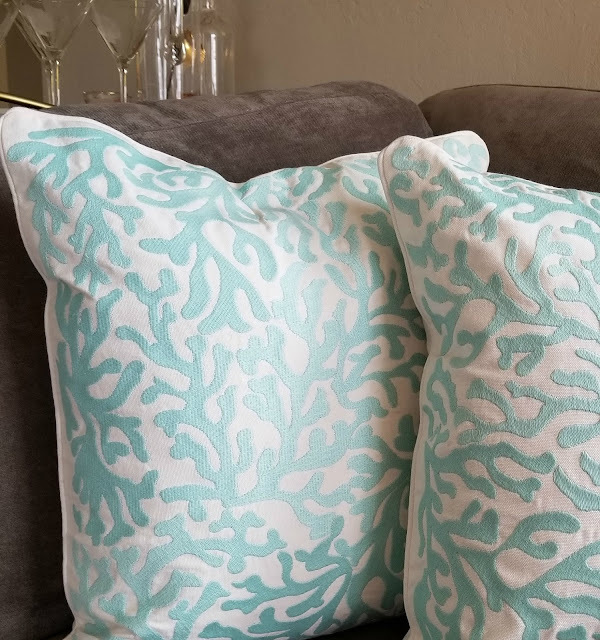 Love this Bay Island Coral Branch Pillow because there are so many coastal colors in it, that it coordinates so well with many "beach home" looks and styles. 6. 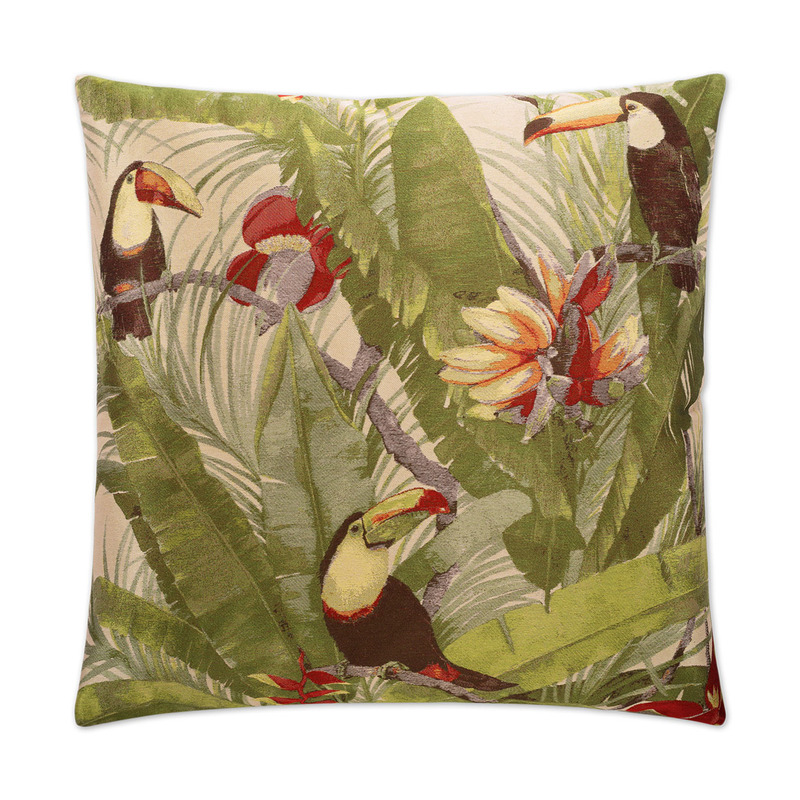 Decorative throw pillows are affordable "little works of art" to add to your home. 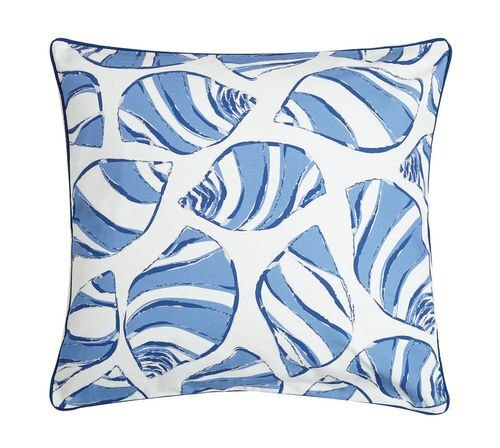 Try a new color, embroidery, beading, texture, a crazy design - go bold, it's only a pillow, not your whole room. 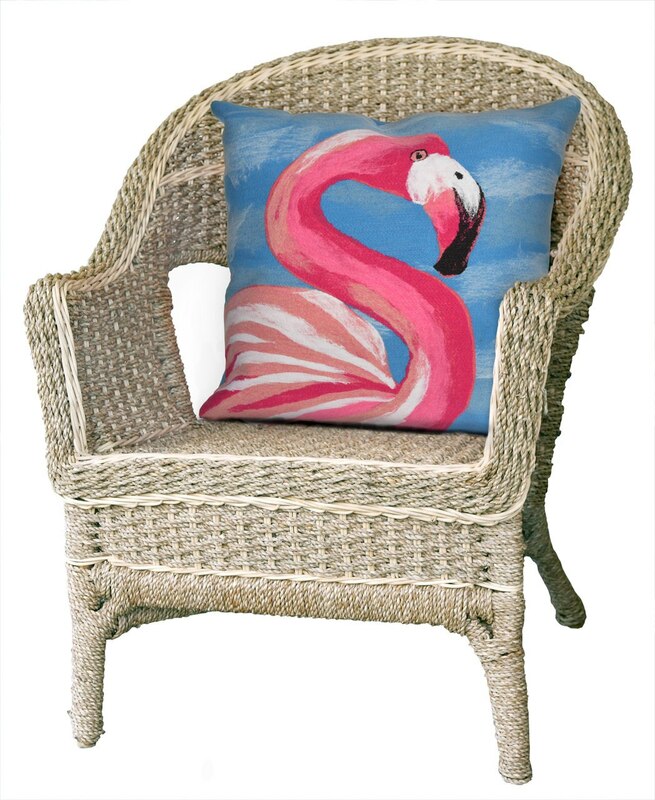 Hand-crafted Flamingo Pillow using a Lamontage process - very cool bright look! 7. 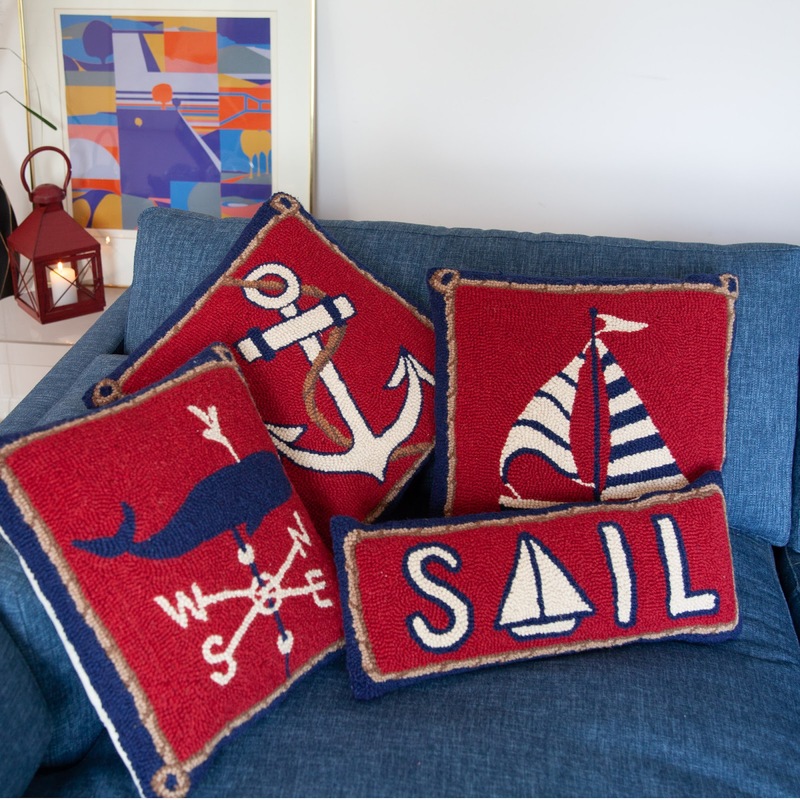 Easy to be a little "daring" with a decorative nautical pillow while keeping the rest of your room neutral. 9. Want a little piece of our best advice? Look for throw pillows that can withstand the rigors of life at the beach. You know what I mean; salt air, salt water, sandy fingers, dogs, and sunlight damage. Look for indoor-outdoor fabrics, washable fabrics and pillows that have zippers to make cleaning and changing out your inserts easier. P.S. We have SO many choices - check our Indoor-Outdoor Collections. 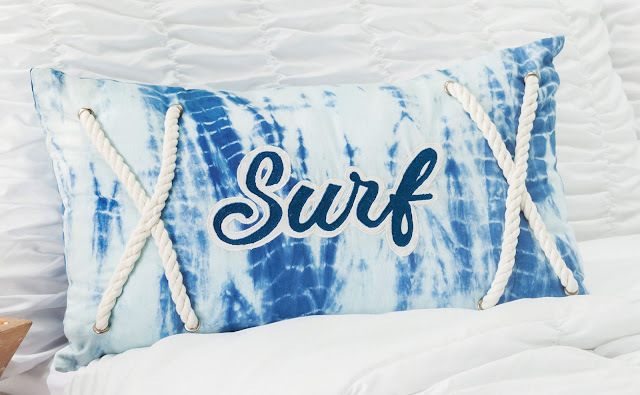 NOT Only for outdoors, but perfect for beach living durability!